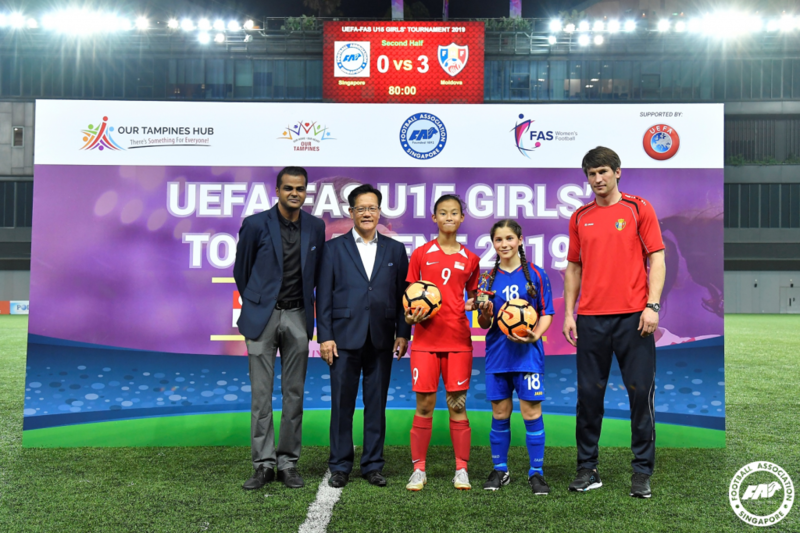 SINGAPORE, 25 MARCH 2019 – The Singapore Under-15 Girls’ National Team put up a commendable display to finish as runners-up in the inaugural UEFA-FAS U15 Girls’ Tournament last week. 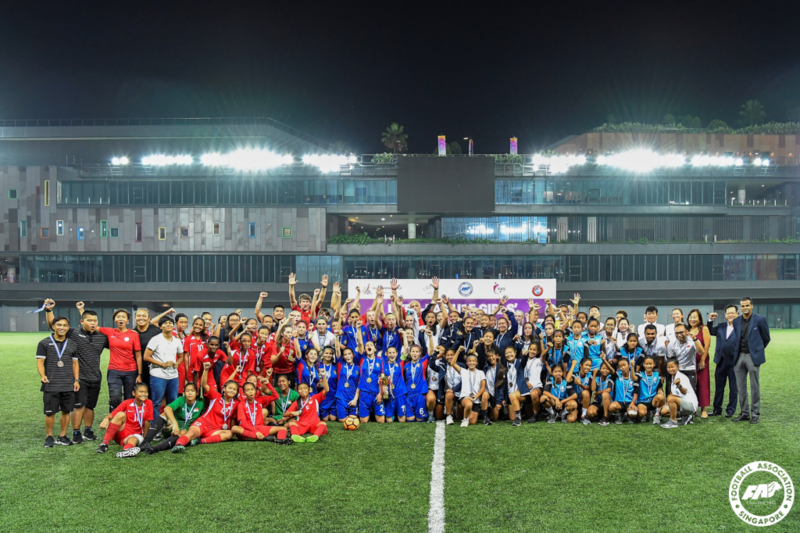 Held from 17 to 21 March at Our Tampines Hub (OTH), our U15 girls recorded victories over Guam and Cambodia in their first two matches before going down to Moldova in the four-team round-robin competition. 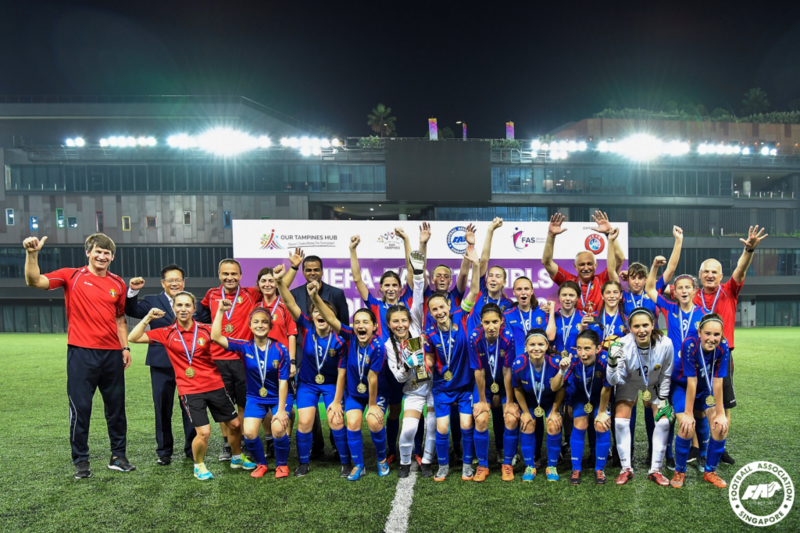 Moldova emerged as champions after winning all three games, including a 3-0 defeat of Singapore on the final day, but Tina Afrida Nasmi’s charges can be satisfied with their performances in beating Guam 7-0 and Cambodia 1-0. Forward Danielle Tan, 14, finished as joint-top scorer with Moldova’s Colnic Iuliana after bagging five goals, including four against Guam. Defender Irsalina Irwan, 12, was named the Most Valuable Player in her first ever international involvement at this age-group. 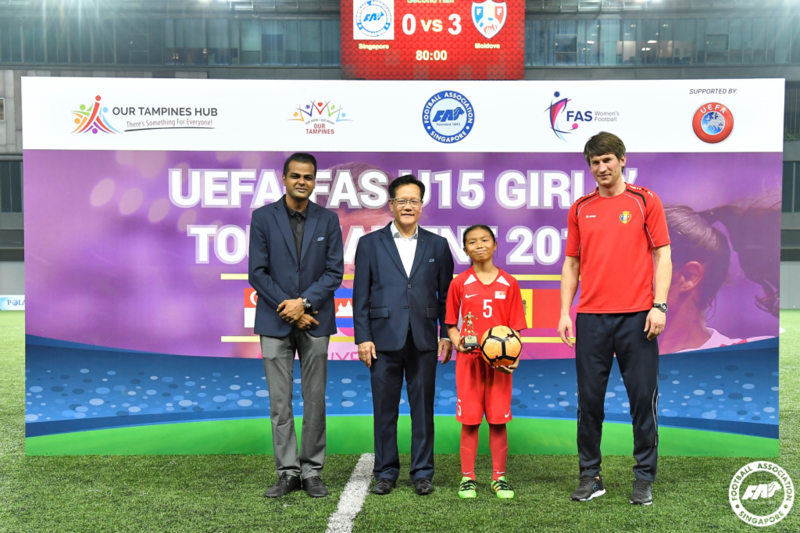 Football Association of Singapore (FAS) President Mr Lim Kia Tong and General Secretary Mr Yazeen Buhari were on hand to present the trophies and medals at OTH. 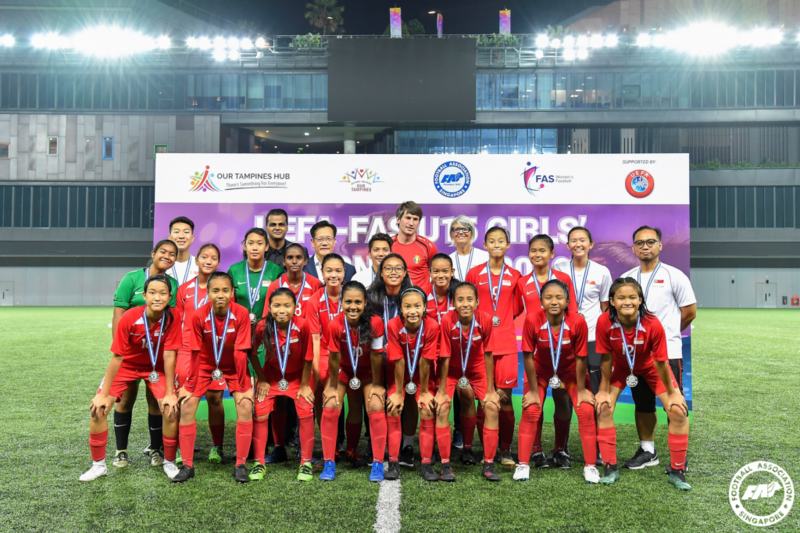 The tournament, which is part of the UEFA ASSIST programme to provide young players with the opportunity to gain more competitive playing experience, served as part of Singapore’s preparations for the ASEAN Football Federation (AFF) Under-15 Girls Championship in May.